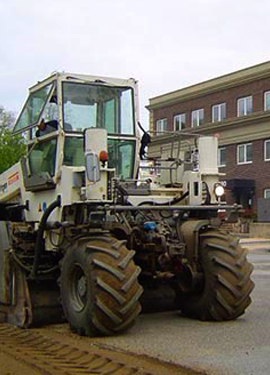 Hauppauge Paving Contractor - DuMor Construction Inc.
New York parking lots are very important to business owners, which is why they always contact our company for all of their Hauppauge parking lot paving needs. We are a family owned and operated asphalt company, and we always strive to exceed the expectations of our customers. 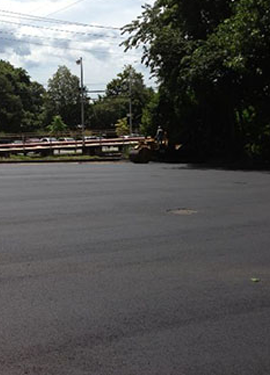 We provide a variety of asphalt services in Hauppauge. We have the training and certification to provide exceptional parking lot maintenance and repairs, too. 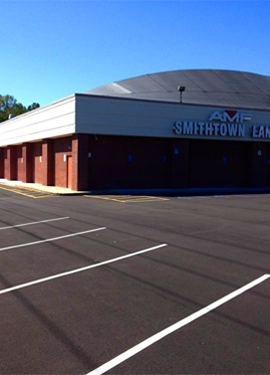 We also specialize in parking lot striping and are very experienced with ADA compliance. 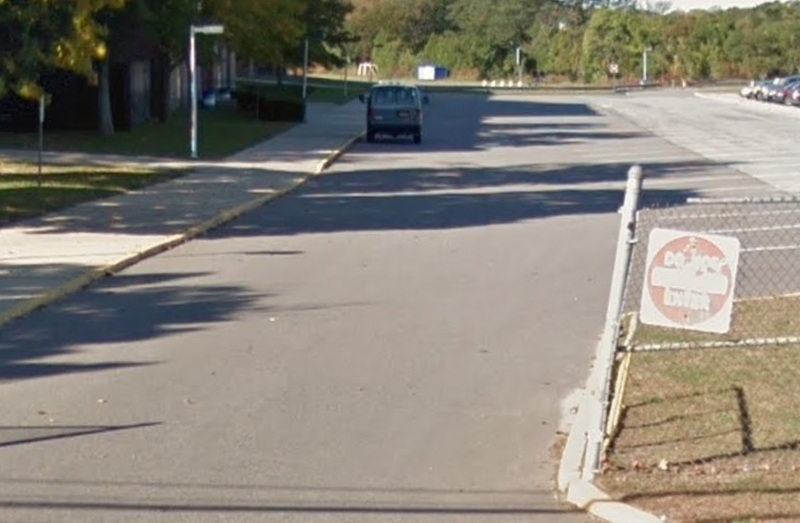 One of our principle goals is to keep Long Island residents safe with reliable parking lots and paved surfaces. Hauppauge, New York is a charming and quaint hamlet with a population of 20,882. The Thomas Wheeler family was the first family to settle in the hamlet in the mid-1700’s. The town is a popular tourist destination, and it receives thousands of people as visitors each year. If you would like to relax and enjoy the beauty of this hamlet, then you can go to Bill Richards Memorial Park. Golf enthusiasts will enjoy the Hamlet Wind Watch Golf Course & Country Club, which is a beautiful and challenging golf course. There is a bar and restaurant at the country club, so after a round of golf you can sit back and enjoy a cocktail and a delicious dinner while dining overlooking the beautiful golf course. Adults that are looking for entertainment and excitement can go to the 21 for Fun casino. The 21 for Fun casino has all types of card games and slots, and in the bar guests can enjoy a drink while listening to local bands perform. The Mixx LI and the Nu Lounge are popular bars in the hamlet that residents and visitors go to just to unwind from a busy day. The Butterfields Hauppauge and the Hauppauge Palace Diner are two of the top restaurants in the hamlet. These two restaurants serve sandwiches and full dinners that leave visitors satisfied and returning very soon. If you are visiting the hamlet during October and you are wanting a good scare, then you can go to the Chamber of Horrors where you will laugh and scream during the whole horrors tour. This place is always a favorite location during October by hundreds of visitors each year. 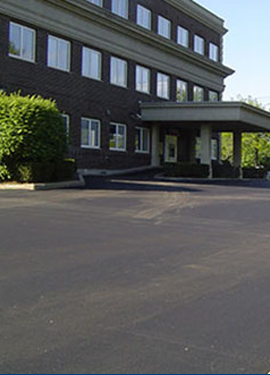 DuMor Construction is the commercial sealcoating and asphalt contractor that business owners contact for all their parking lot concerns and issues. Contact us today and let us provide you a solution to your parking lot issues. We got a call from a psychologists office that needed help with their parking lot, which was in disrepair. Their whole facility and service is designed to promote the mental health of their clients, so they needed to make sure that their parking space wasn’t upsetting anyone. 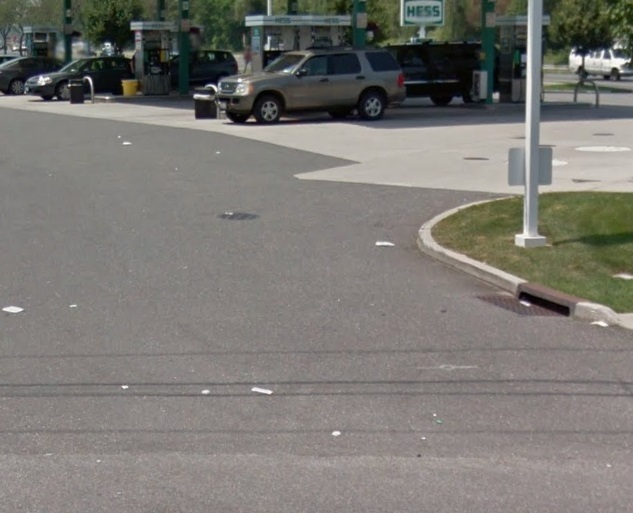 We scheduled a complimentary consultation for parking lot repair in Hauppauge for the same afternoon, and they were pleased that we could come out so soon. A couple of our asphalt experts arrived at the office in Hauppauge and the office manager showed our guys certain areas in the parking lot that needed attention immediately. Our guys inspected and evaluated the asphalt, then gave the office manager an estimate, which they were happy with and asked us to start as soon as we could. The office manager asked if there was any way that we could do the work on the weekends because the office was closed, and we let her know that would not be a problem. Our crew arrived first thing Saturday morning. The crew was happy that the weather would be great as the sun was shining bright and there wasn’t a cloud in the sky, which was perfect weather for asphalt repairs. The crew first started cleaning the asphalt surface thoroughly with our industrial power washer. The cleaning would remove any dirt, debris, and chemicals from the asphalt surface. The crew then began to start repairing the large pothole in the parking lot. The crew cut out the damaged asphalt, then they made sure to remove all the loose gravel from the area. They began to fill the hole with aggregate asphalt, then they compacted the new aggregate with the tamping tool. The crew made sure the asphalt was thoroughly compacted, then they applied a layer of sealer on top of it once it was completely dried. The crew then started working on the crack sealing. The crew filled each crack with rubberized asphalt crack sealer. The crew worked throughout the entire day until each crack was successfully filled. After they had the last crack filled, the crew packed up as they had completed this project. We repaired a pothole and did crack sealing extensively throughout the parking lot. Two of our crewmembers went to the psychologists office Monday morning. They wanted to check over the work that they had provided and talk to the office manager. All of the repairs looked great and they let the office manager know that they may want to consider sealcoating the parking lot now that all of the repairs were made because the sealcoating would add a smooth and attractive look to the parking lot and it would also preserve the maintenance that we had provided for them. The office manager was pleased with the parking lot work that we provided and would consider the sealcoating.